Biomass power has always been part of human societies. Acquiring our skill with fire was one of our great technological breakthroughs and allowed us to exploit parts of the world that would otherwise have been too cold. It also allowed us to cook our food. That may not seem such a big deal but, on average, cooked food delivers more calories per kilo than uncooked food. Some anthropologists think that these extra calories were the nudge that allowed for the increase in brain size — and we know were that went. Back in the days of hunter-gathering, imagine how powerful the guy was who controlled fire. Any skill in lighting it, transporting it and not letting it get out of hand would have been highly valued. And remember that this was the norm for most of human evolution until just 10,000 years ago when agriculture was invented. We could say that biomass fuel as firewood is in our foundations. In modern times of climate change, biomass from crops other than trees and from organic wastes is an alternative fuel with potential to help greenhouse gas emission reduction. either directly or by converting the biomass to a gas (a process of gasification). The advantage of these fuels is that, with the exception of fuel crops, they use waste products to generate electricity. In greenhouse gas terms the net effect of biomass burning for power generation is mostly neutral. CO2 is released along with nitrous oxide when the waste is burnt but because biomass is renewable, so long as there is regrowth of the biomass in the fuel source supply chain and care is taken to capture particulates, then net release of greenhouse gas to the atmosphere is small. If the waste was not burnt for fuel it would either be burnt [some crop residues in fields], left to decompose or sent to landfill. There is a significant greenhouse gas benefit of diversion of waste from landfill. In the anaerobic conditions of a landfill, organic material decomposes to methane that seeps through the fill to the surface and, unless it is captured, escapes to the atmosphere. Methane has a much higher global warming potential than carbon dioxide that is the main gas released if waste is incinerated. In most modern landfills waste is layered and enclosed with soil. Pipes are set into the trash that capture methane as it is released and transfer the gas to a flare or gas turbine. This also helps with odour control. Biomass fuels are something different. This source of energy requires that a crop is grown specifically for conversion to a liquid fuel that is used directly or as a supplement to petrol or diesel. But there is also potential in fast growing trees and grasses, and even algae, especially on land that cannot support agricultural production. The point of difference is that biomass power must be grown. It is not a waste product but a crop grown specifically to produce energy. Any organic material that ends up as fuel cannot be eaten or fed to livestock or returned to the soil to maintain soil carbon socks. Growing corn and soybeans for fuel will happen on acreage that is not producing food. Land taken out of food production is always a concern. It is increasingly acute given that, according to the FAO, global food production must double by 2050 and increase by 50% in a generation. And agricultural inputs are needed [fuel for tillage, fertiliser and pesticides] for these fuel crops just as much as they would if the farmer was growing food. Even where degraded land is used there is a huge PR exercise needed to demonstrate that this is actually an environmentally friendly option. 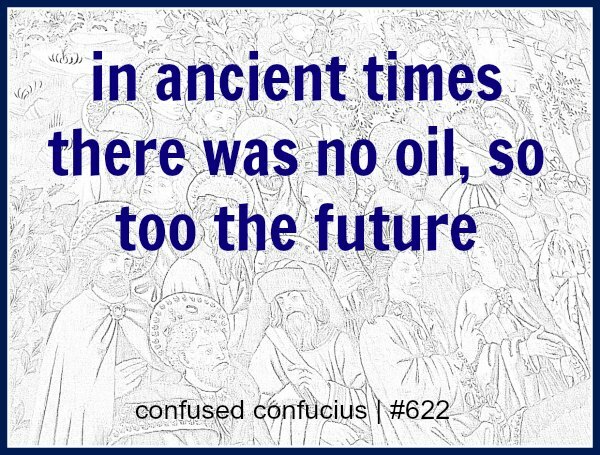 the pre-occupation with biofuels seems odd. A pandering perhaps to the legacy of the internal combustion engine with its requirement for liquid fuel. they are not releasing ancient CO2 but CO2 that was recently in the atmosphere ensuring that they do make a contribution to greenhouse gas emission reduction. Overall the balance is not in favour of biomass power. It's a modest solution for global warming with any number of downsides, not least being we will need the land to grow food.